Swervedriver release their highly anticipated sixth studio record, Future Ruins on January 25th. Last month Swervedriver shared the lead single "Mary Winter" and now they've officially issued the video for another melodic spaced-out beauty titled "Drone Lover." 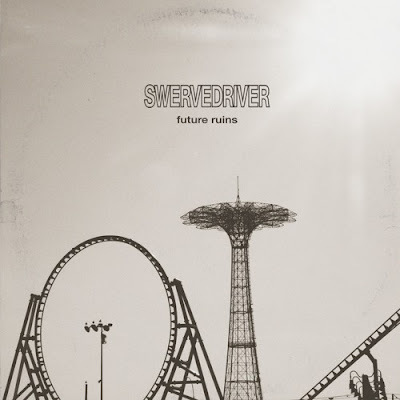 The single is pure and classic swoonworthy Swervedriver! Stream "Drone Lover" below. Swervedriver also introduced a few new bundles/merch items for Future Ruins including a t-shirts and slip mat - view over at Dangerbird Records, or visit Swervedriver's pre-order landing page here.